My father bought the Clos Saint Urbain in the Rangen vineyard in 1977, and after that date, we continued to purchase vineyards in the Rangen until we were able to recreate that historic vineyard in 1989. Some parcels were planted during this period and because this vineyard offers incredibly difficult growing conditions (very steep slope, poor volcanic rocky soil, warm full south exposure), it takes a long time for younger vines to establish themselves. 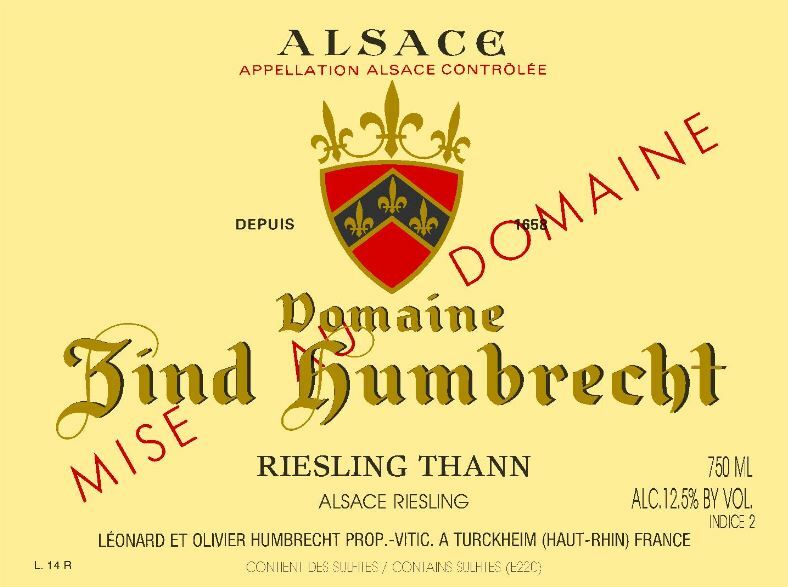 We usually declassify these vines, but in very good vintages, we would separate the wine and called it Thann, from the name of the village where the Rangen is located. In 2007, the grapes showed perfect health conditions and excellent ripeness. The fermentation was slow, adding a lot of complexity to the wine. 11/2008: after the bottling, this wine really opened up. It is clearly easy to see the influence of the volcanic soil on the aromas: there is a lot of flinty, mineral character that mixes with the Riesling fruit. The palate is delicate and elegant. The medium alcohol allows this wine to be very easy to serve with food. There is some roundness on the finish that is perfectly balanced with a great acidity. This wine should go very well with poultry, smoked fish, scallops, langoustines… and there is no hurry in drinking it.